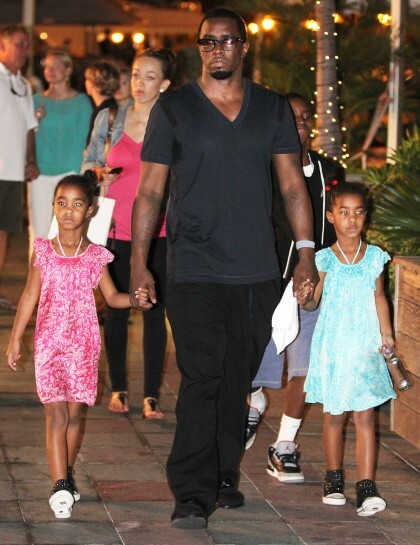 Diddy and his twin daughters along with the rest of his family ( not Pictured) are enjoying a nice vacation on the island of St. Barts. 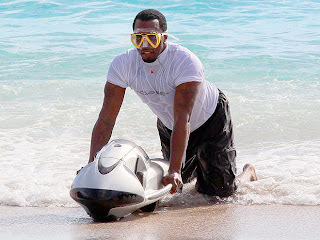 Diddy was spotted trying to do some water sports, look at those arms, we see you Diddy. Also in St. Barts for a vacation with the family, Kimora lee looking fab on the beach with her son Kenzo. Back to the cold, Gwen Stefani was spotted out in London, she definitely look the part of a fashion designer, her outfits mostly are on point.